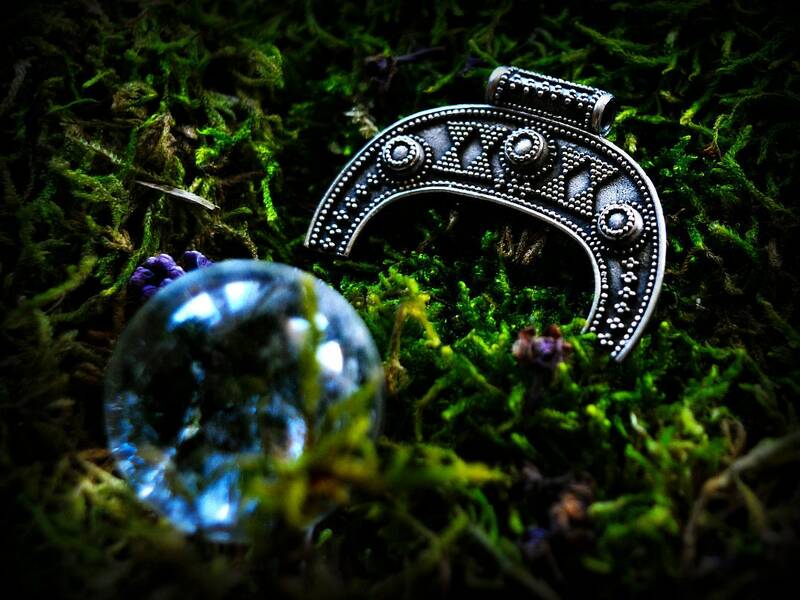 Stunning, beautifully detailed, silver lunar pendant - a moon-shaped amulet, also called lunitsa, lunnitsa or lunik pendant). 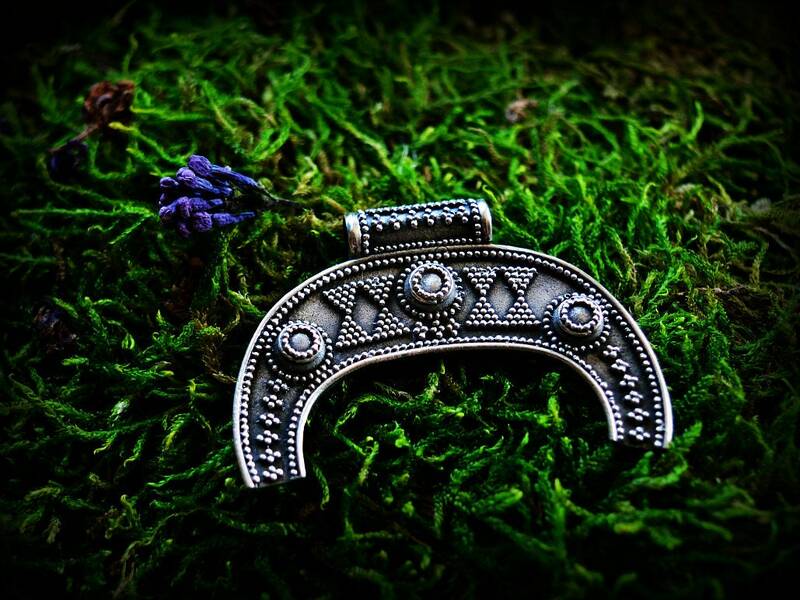 This lunar amulet is a replica of find from Poland (Leszno), dated to Viking period. Similar pendants are known from Scandinavia and Eastern Europe.